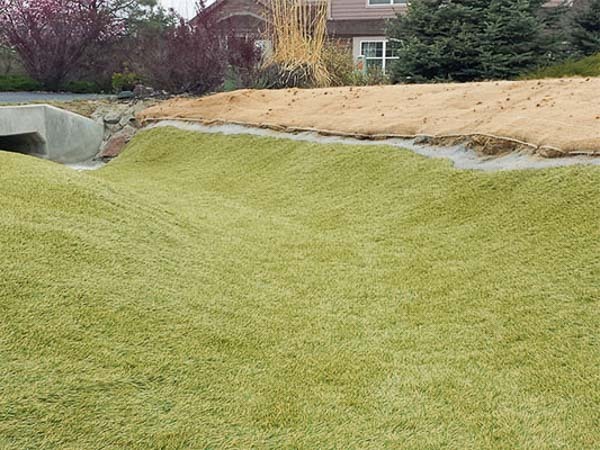 HydroTurf is an economically, environmentally-friendly hardened erosion armoring technology, specifically designed to reduce construction and long-term maintenance costs. 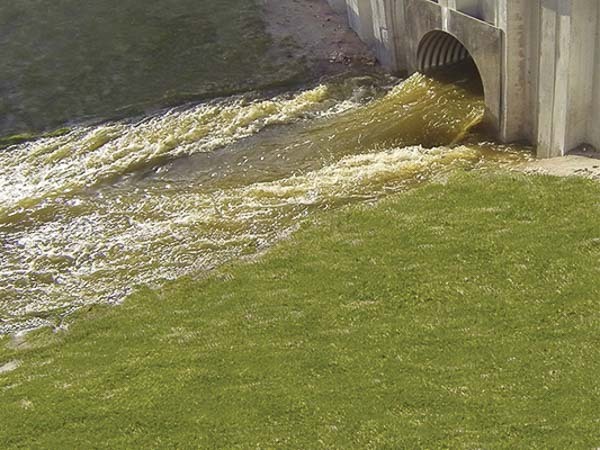 HydroTurf can perhaps best be described as an impermeable fiber-reinforced concrete liner for applications such as channels, banks and shorelines, outfall structures, slopes, dam overtopping, levees and many more. 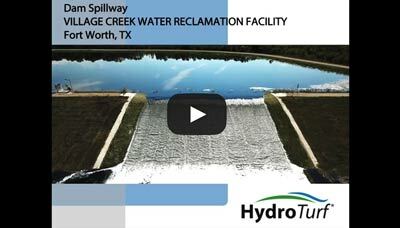 It combines an engineered synthetic turf with a high friction geomembrane that is locked into place with a specially designed HydroBinder high-strength infill. 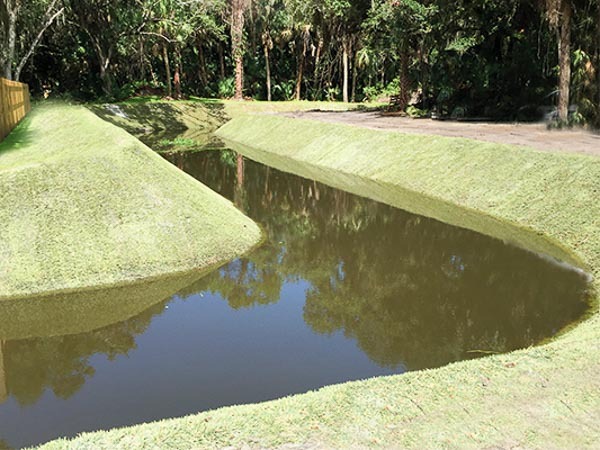 By offering superior erosion control, pointedly less turbidity, and significantly less maintenance, HydroTurf eliminates the headaches of traditional vegetative erosion control systems. 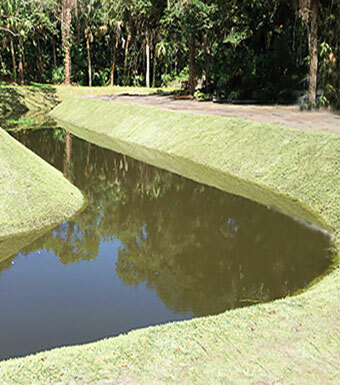 HydroTurf is also a more sustainable solution than other hard armor revetment systems since it has a lower carbon footprint. 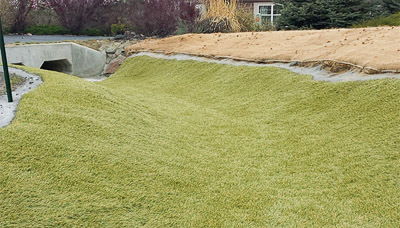 HydroTurf has a number of benefits over other revetment systems. 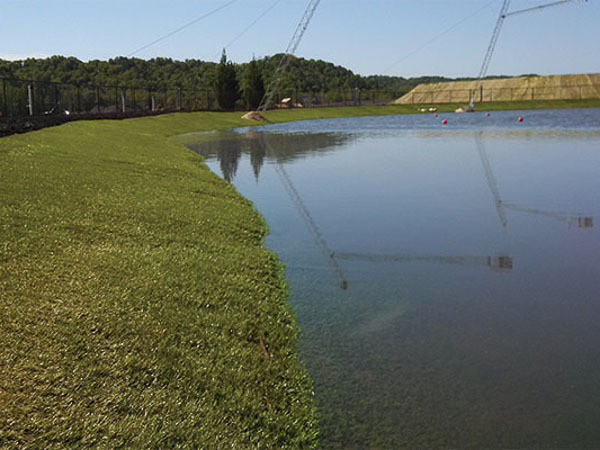 HydroTurf has been extensively tested in full-scale laboratories and project applications for extreme hydraulic performance. 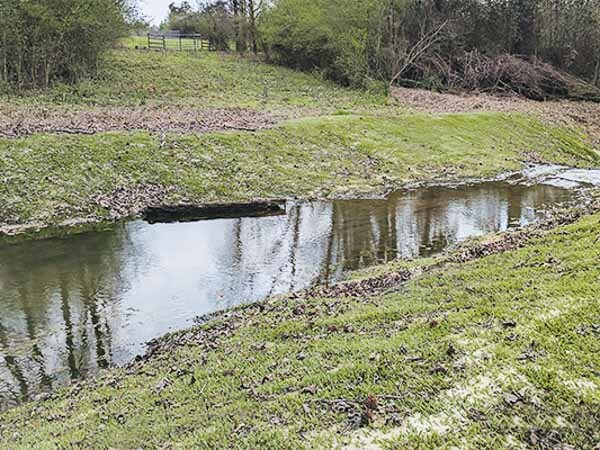 There are no known reports of other revetment technologies having undergone such an extensive testing program without system failure or subgrade erosion. Through long-term weathering tests, HydroTurf is designed to have a 50+ year functional longevity when properly maintained. 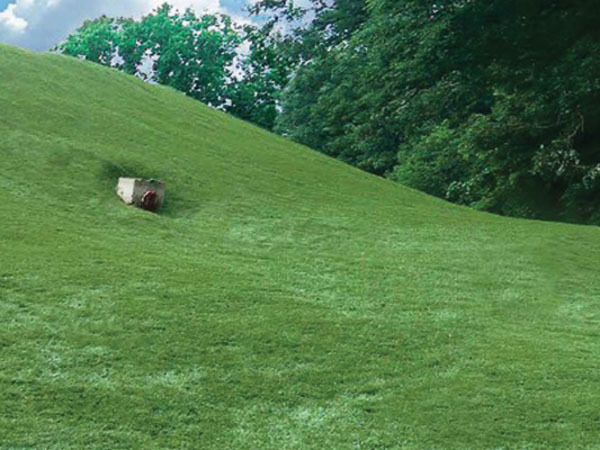 HydroTurf is significantly less costly than hard armor revetment systems (i.e. concrete, rock riprap, and articulated concrete block). Installed cost for HydroTurf is typically up to 50% less than that for traditional hard armor systems. 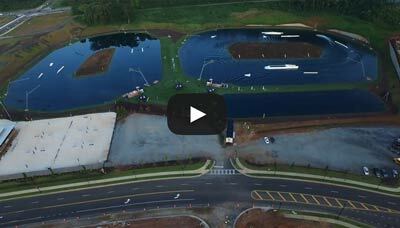 Construction of the HydroTurf system is rapid, low impact and scalable. Only small, light-weight construction equipment is needed for installation. On large projects, one construction crew is able to install approximately 1 acre per day. Additional crews can be added to increase this rate. Vegetation management and erosion control are significant maintenance costs for Anchored Turf Reinforcement Mat (TRM) products. Maintenance costs for these TRMs may be as high as $1,500/acre/year. 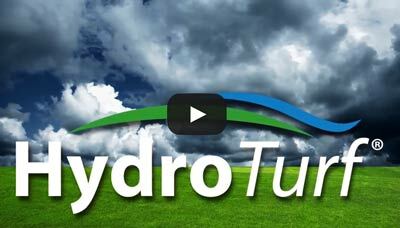 HydroTurf requires minimal maintenance and will drastically lower long-term maintenance budgets. HydroTurf has a lower carbon footprint (1/4 to 1/8) than that of other traditional hardened revetment solutions. HydroTurf looks and feels like natural vegetation. close window Fill out form.